Bitcoin (BTC), Cryptocurrency, Exchange-Traded Funds–The Winklevoss twins, who first emerged in popularity following their association with Mark Zuckerberg and the creation of Facebook, have become a set of established figures in the cryptocurrency industry. Since merging into the industry in 2013 with an investment into Charlie Shrem’s BitInstant payment processor, the Winklevoss twins have been a consistent figurehead for Bitcoin and the founders of popular cryptocurerncy exchange Gemini. Following 2017’s bull run for Bitcoin and altcoins, it was revealed that the twins’ gamble on crypto had paid off, with their net worth surpassing $1 billion in a tale of riches that surpassed even their lawsuit with Zuckerberg. However, if there was one consistent features to the twins, it has been their relentless pursuit of establishing the world’s first approved Bitcoin Exchange-Traded Fund. While some in the industry came to find the discourse around ETFs nauseating, particularly in the midst of 2018’s bear cycle, others have heralded approval as a significant step forward for the industry. Despite efforts by the twins and multiple firms, the United States Securities & Exchange Commission has consistently denied approval or delayed ruling on ETF proposals, preventing what most see to be the surest route for institutional investing to enter the crypto markets. 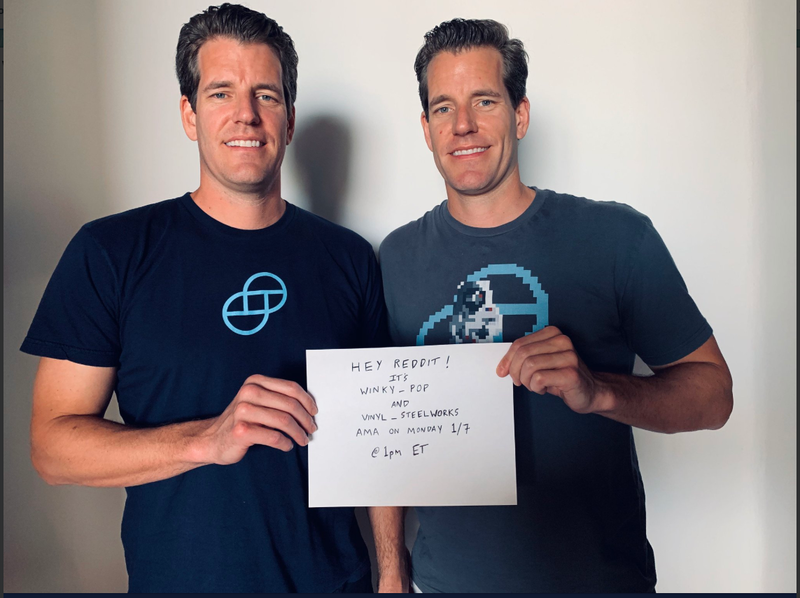 Speaking in a recent Ask Me Anything (AMA) on Reddit, the Winklevoss twins doubled down on their commitment to getting a Bitcoin ETF passed by the SEC, despite previous setbacks. Current Bitcoin investors, particularly those who believe Wall Street is waiting for increased regulation before pouring money into the crypto markets, will be heartened by the script the twins stuck to throughout their discussion. While hitting on some points related to the industry and their exchange Gemini, the Winklevoss AMA reiterated their work towards achieving Bitcoin ETF approval, a move many believe will occur at some point during the new calendar year even in the face of 2018’s repeatedly failed attempts. When asked for their opinion on the state of the crypto markets, particularly after BTC fell more than 70 percent from its all time high in December 2017, the Winklevoss twins echoed that of billionaire crypto supporter Mike Novogratz in cautioning investors to weather the storm. Given the lack of regulation and industry standard for both exchanges and the development of coin projects, a Bitcoin Exchange-Traded Fund has been heralded as the most secure and efficient means for institutional investment. Last week, EWN reported on a new ad campaign by Gemini, promoting the need for increased regulation as a necessary step for cryptocurrency moving forward. This is not gonna work for Winklevoss. Bitcoin is dead. They cannot seriously think that they will revive it.